We work hard to make sure the content on our website is accurate and up to date. However please be aware we can’t accept any responsibility or liability for any loss or claim arising directly or indirectly from any inaccuracy in any of the material on the website. 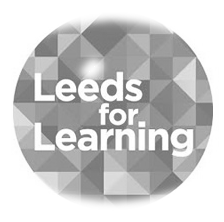 In general any reproduction, transmission or storage of any text, graphics, images, film or sound files, code, design or logos on this website is forbidden without written permission from Leeds City Council. Our copyright and other intellectual property rights are protected by UK laws and by international treaties. You may download content from this website to file or print without our permission, provided this is not re-used or re-published in any way. If you want to re-publish information from this website or use it for something other than your own personal use, please use the contact us form to ask for permission. The name ‘Herd Farm’, any historic names of the centre, our official logo and the coat of arms are protected by UK laws. This means that none of these can be used without prior written permission from Leeds City Council. Translations on Herd Farm’s website are performed by Google Translate. Google Translate is a free translation service that provides instant translations between different languages. Please note that not all text may be translated accurately or be translated at all. Herd Farm is not responsible for incorrect or inaccurate translations. Herd Farm will not be responsible for any damage, loss, claim or liability, whether arising directly or indirectly through the use of Google Translate. If you have any questions about Google Translate, please go to the Google Translate website. The government has promised to open up data across the public sector to increase public accountability as part of their transparency agenda. We will publish data openly to demonstrate transparency in operations, and we will allow access to it free of charge (subject to copyright and licence permission). Our site contains links to and from other web sites. The council does not necessarily endorse or support the organisations that are linked to or from our website. We cannot guarantee that links will work all of the time, and we have no control over the availability of the linked pages on other websites. We make every effort to check and test the material on our site for malicious software or ‘malware’. However, Herd Farm cannot accept any responsibility or liability for any loss, disruption or damage to your computer system or information contained on it, which may occur as a result of using material from our site. It is always advisable to run an anti-virus program on any material downloaded from the internet. If an email infected with malicious software is sent to us, it will be deleted automatically before it reaches our email system. If you don’t receive acknowledgement of your email within 10 working days, please contact us.